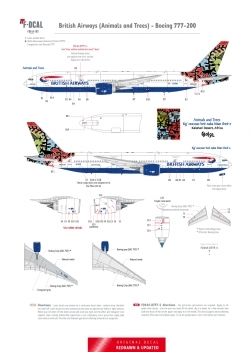 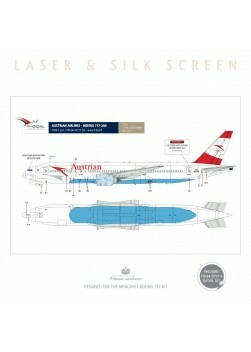 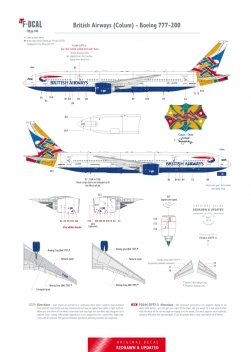 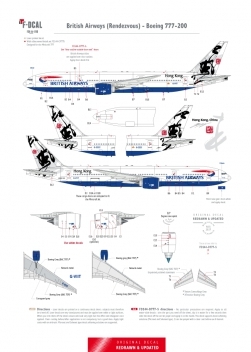 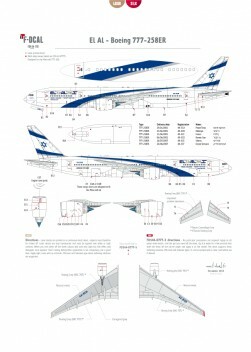 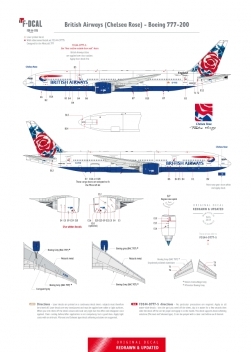 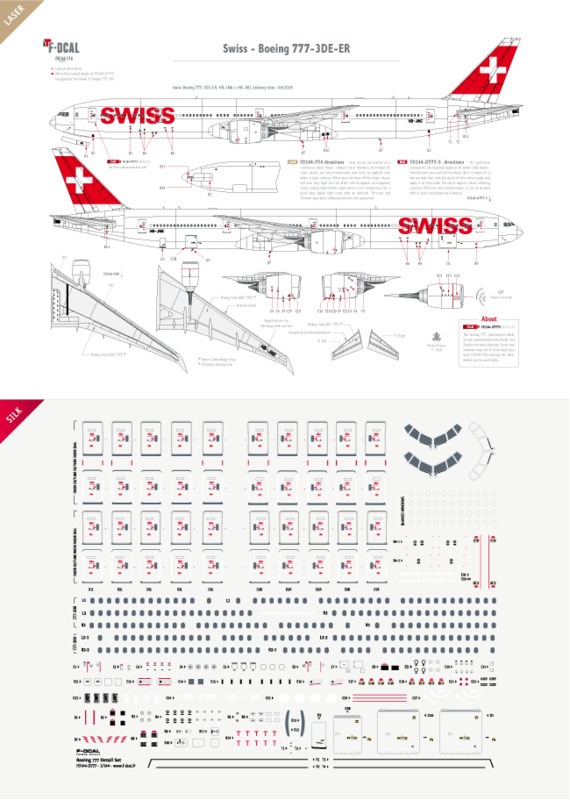 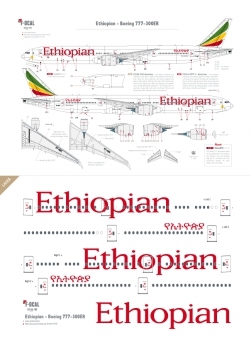 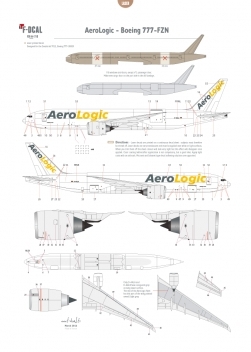 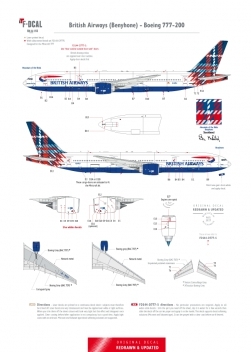 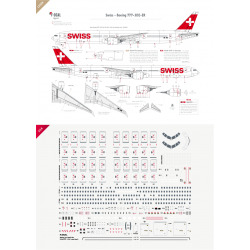 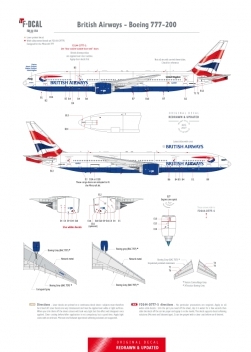 Includes a laser printed decal and a silkscreened Boeing 777 detail set. 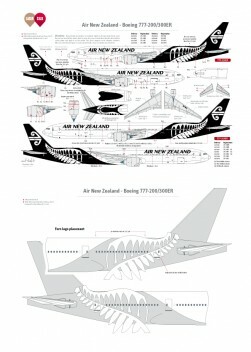 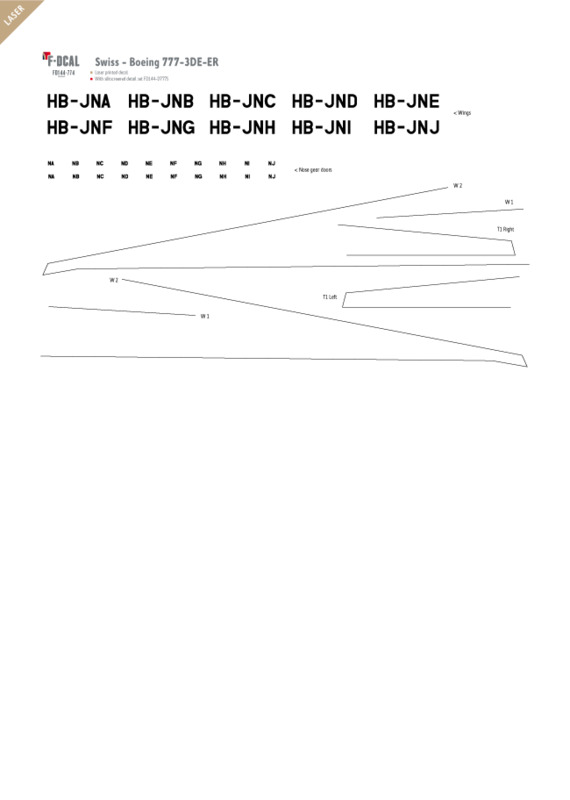 Designed for the Revell/Zvezda Boeing 777-300 kit. 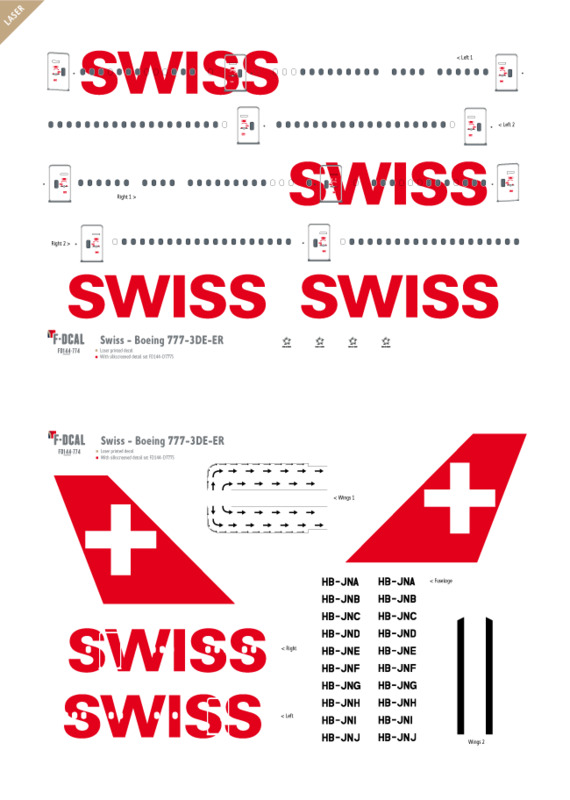 This decal can be rescaled to the scale of your choice. 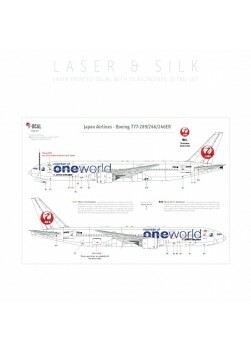 But because rescales can only be laser printed, the colours white and silver of the 1/144 silk screened part will be missing (transparent and grey instead). 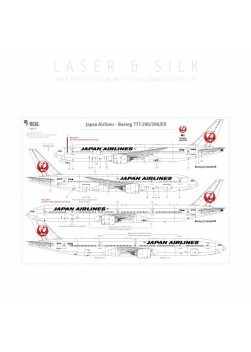 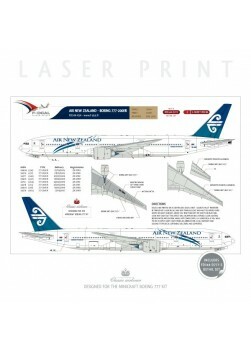 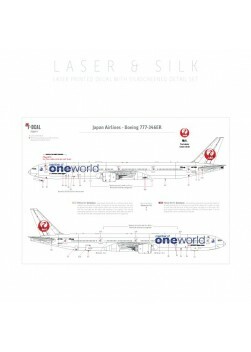 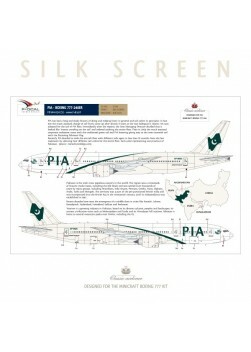 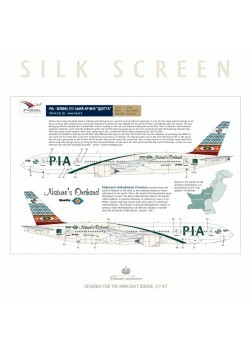 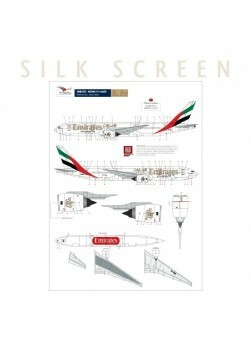 LASER & SlLK Includes a laser printed decal and a silk screened Boeing 777 detail set. 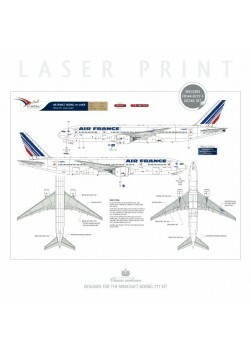 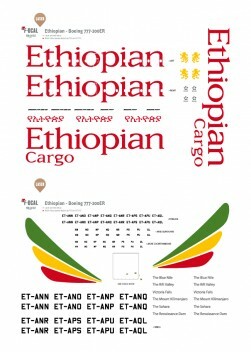 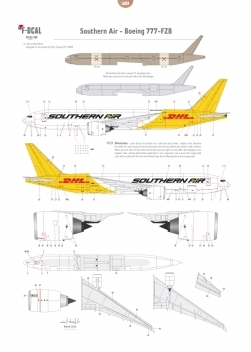 Laser and Silkscreen Includes a laser printed decal and a silkscreened Boeing 777 detail set. 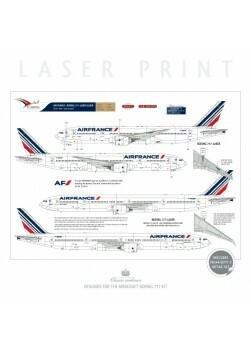 Designed for the Revell/Zvezda Boeing 777-300 kit.